Create a map capable of handling a large number of players (engine max is 14). 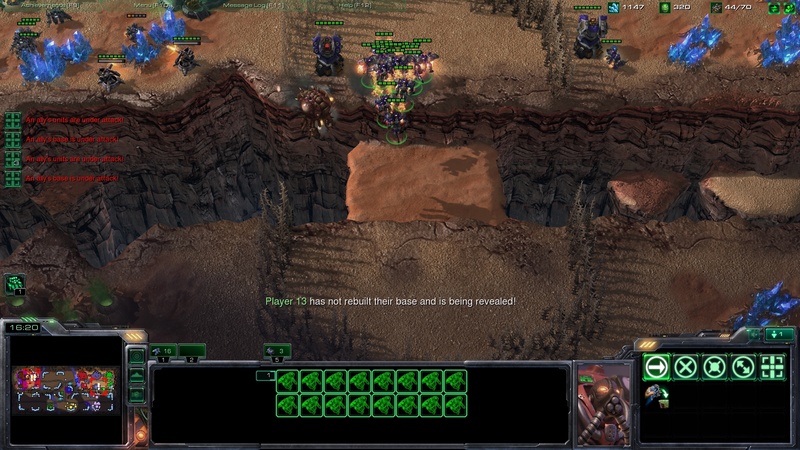 The result was a 7v7 map of carnage! The central choke-point and neutral missile turrets help focus the action in the center early on and encourage the teams to work together to prevent early pushes. The later game opens up as units with longer range and air forces come into play. 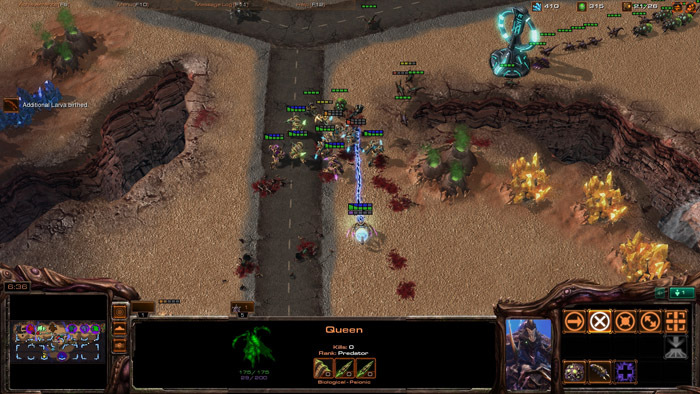 The relatively small size of the map (given the number of players) keeps the action fast-paced. 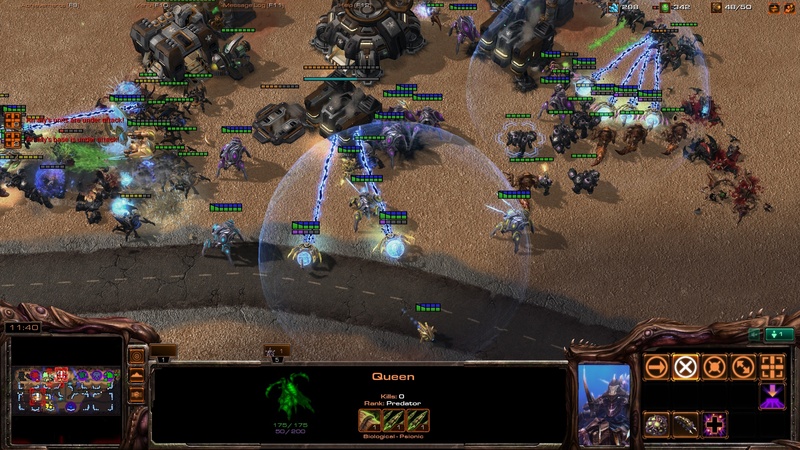 Both early rush games and big-boomer style of play thrives in this setup. 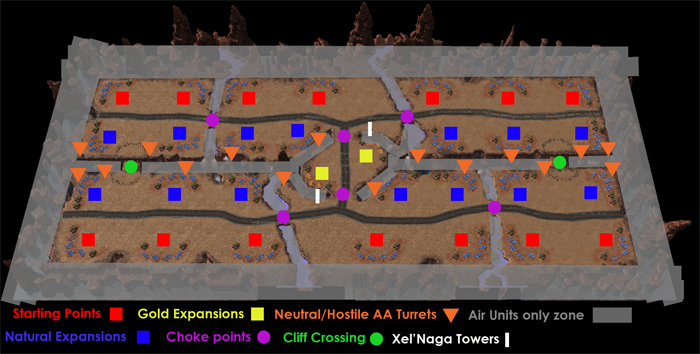 Expansion is easy but due to the number of expansions will not sustain a prolonged turtle before the team must either get creative with their resource use or take ground from the enemy. 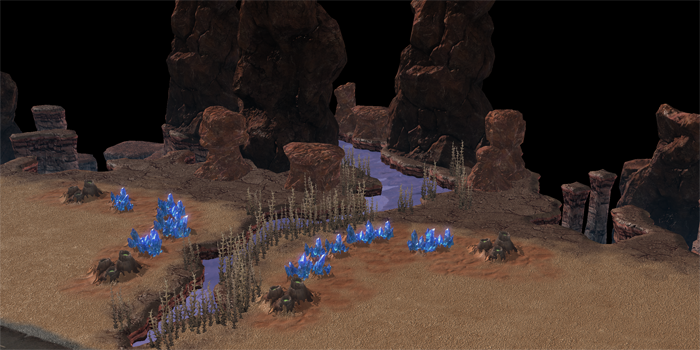 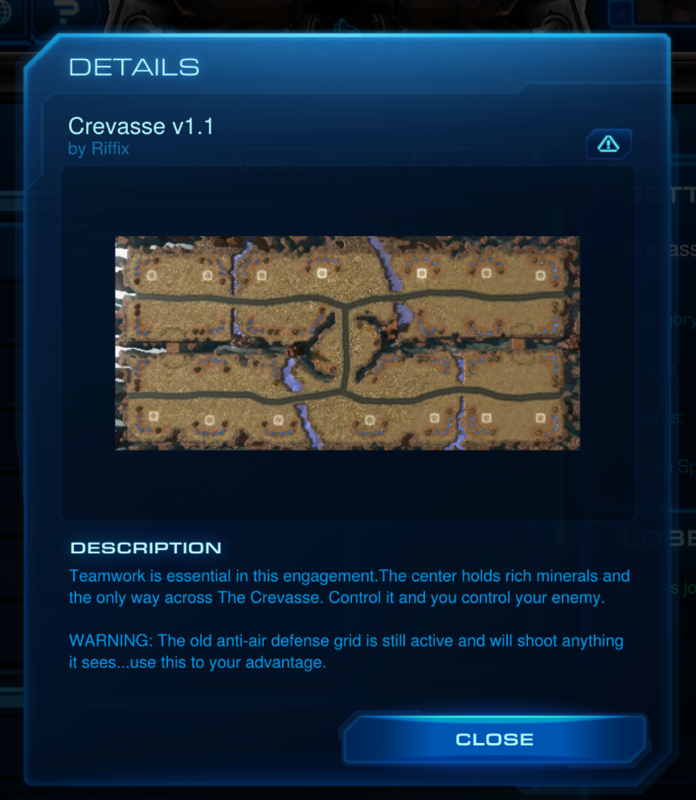 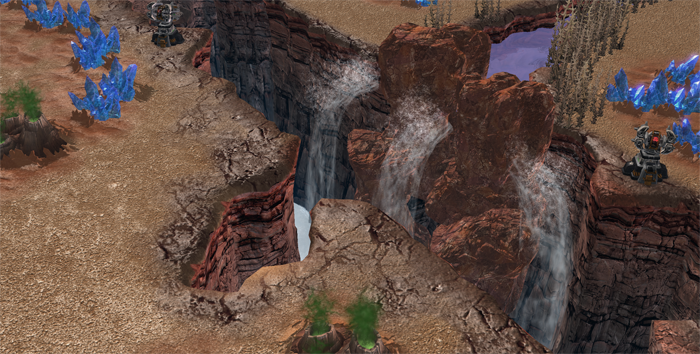 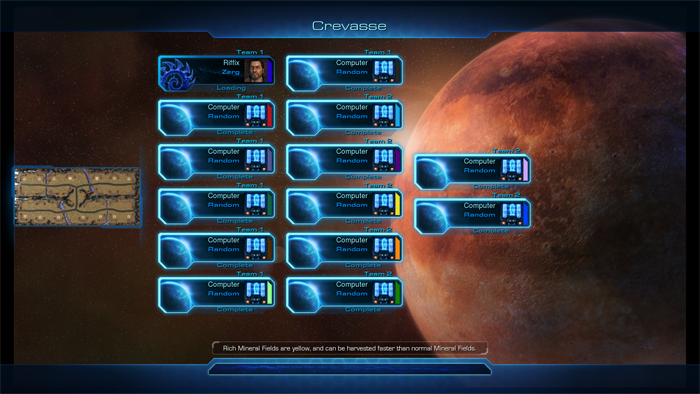 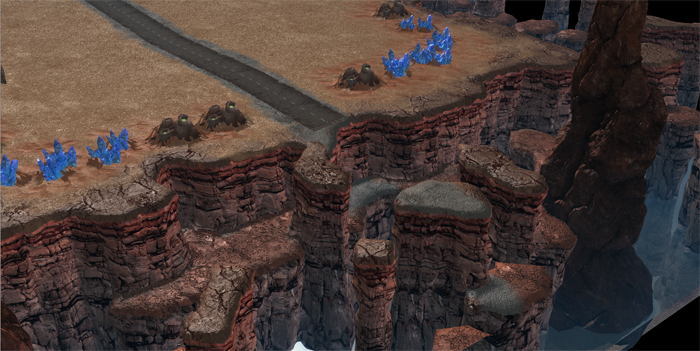 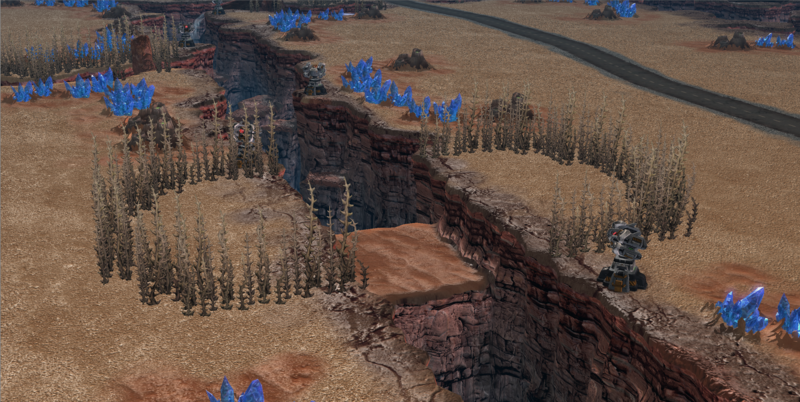 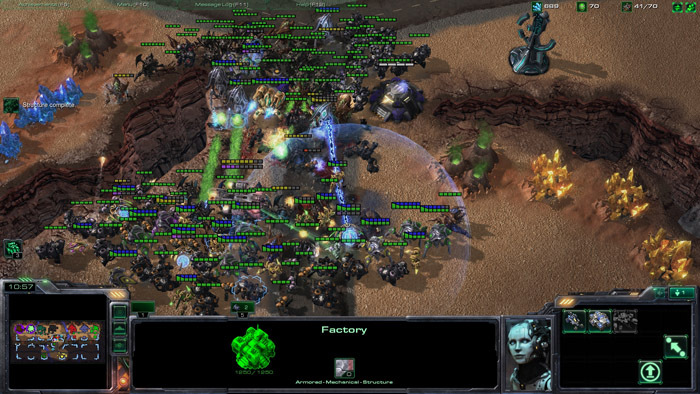 Crevasse can be played by anyone with a valid copy of StarCraft 2 by simply searching for the map by name.